Current FF11 players have spent 200,000 years in game. Pop quiz: Which Final Fantasy game has made publisher/developer Square Enix the most money? If you answered Final Fantasy VII, BZZZT - nope! If you answered Final Fantasy XI, then you cheated and read the headline, didn't you? But yes, it's true: More than any other game in the long and storied JRPG series, FF11 has made its parent studio the big bucks. This news comes from Square CEO Yoichi Wada, who praised the game's playerbase in his opening remarks for VanaFest 2012. "Looking at profitability, it's the top of all past FF games," he said. Given that fans have been paying money every month to play the game since its launch in 2002, that's not very surprising when you think about it. 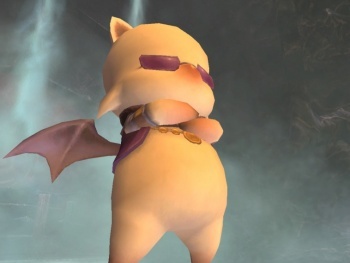 Wada also said that the players who are currently active in Final Fantasy XI have played for more than 200,000 hours - and this doesn't count people who used to play but have let their subscriptions lapse. That's a tremendous amount of time spent in a virtual world, no matter how much of it was spent in hopeless 18-hour boss fights. So yes, a properly run MMO can rake in some serious real-life Gil; we all know this. It's why Wada announced Seekers of Adoulin, another expansion pack for the ten-year-old MMORPG, whereas Square Enix still hasn't remade FF7 - it just wouldn't be as possible. It's also why the company went for another MMO with Final Fantasy XIV. That one didn't go as well, in case you've forgotten.